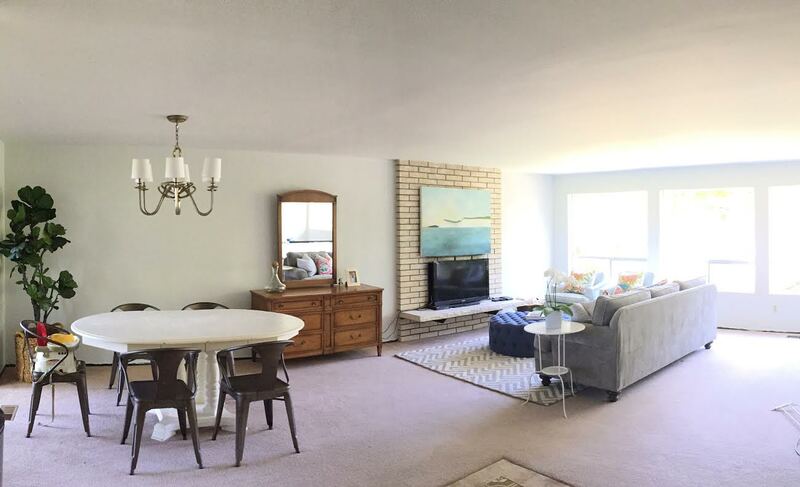 Here's a little update on our living and dining room. It's definitely not done but it's at least an improvement from the last couple of months. 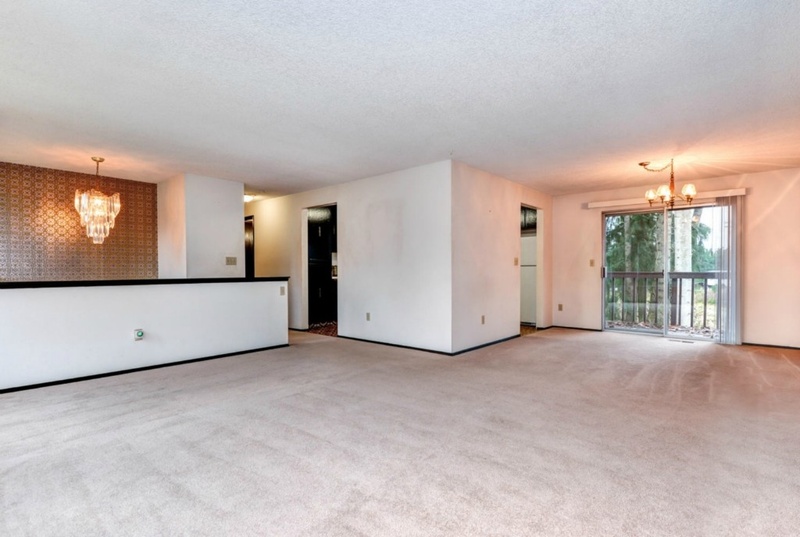 Here's how it looked when we bought the house. 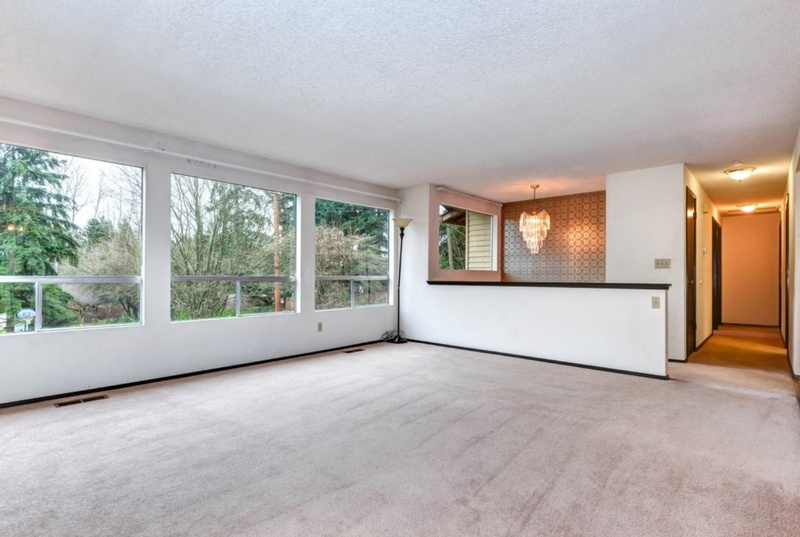 This house was built in 1976, and while it's really outdated, it could have been a lot worse. I'll do a post later about the kitchen but we opened up that wall so that it's a lot more bright and open. It has made such an improvement. Even though there's still a lot to be done, it is so nice to at least have our furniture in! I temporarily put this dresser and mirror in this spot so we'd have a little storage in here until David has the time to build the hutch. I had originally planned on painting it white and putting it in Louisa's room but it's such a nice piece of wood furniture, that I can't bring myself to paint it. I'll probably end up putting it in the guest room. This house looks awesome! Love the big windows! So beautiful! I love your style. It look fantastic, love your style. 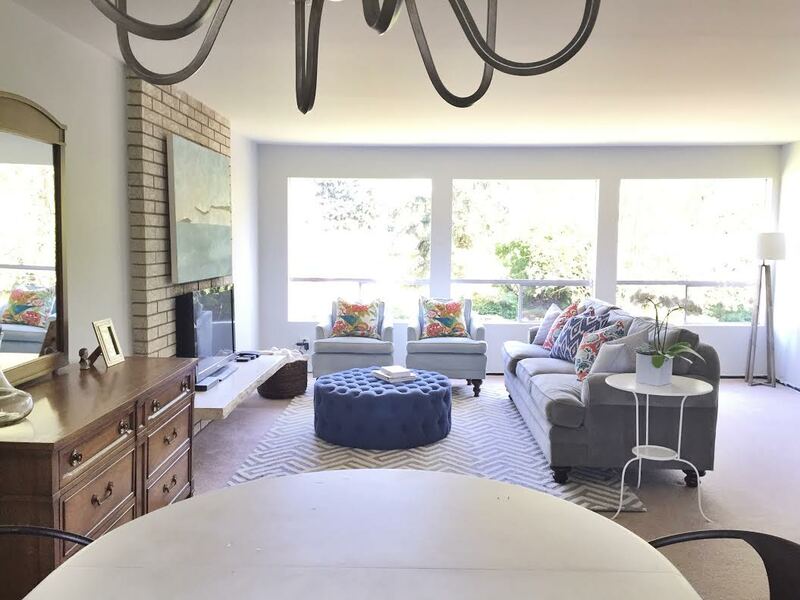 Where did you find that gorgeous blue ottoman? I love it!! Where are your colorful pillows from? Thanks so much! You have great taste. 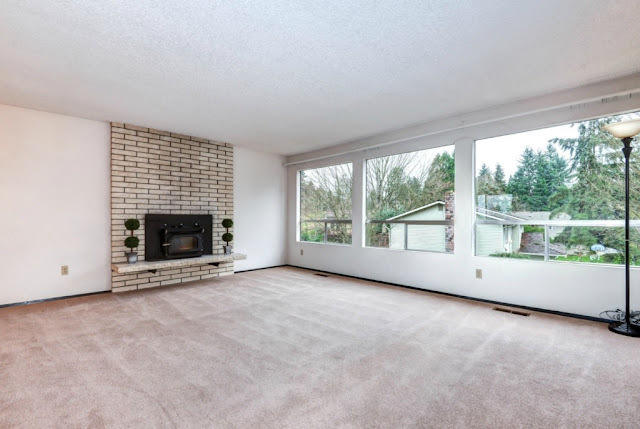 Your new living room and dining room look so spacious, and I know my wife would love to have windows that large. It looks like you are crossing more tasks off your checklist. I do not blame you for not wanting to paint the drawer. It adds an antique vibe to your space. I hope you were able to get to more tasks on your checklist.